Mercedes-Benz Stadium is ready to illuminate the football field in Atlanta with Ephesus LED sports lighting for Super Bowl LIII resulting in cutting edge lights strategically placed around the amazing facility to ensure the best lighting show on the planet for the world’s biggest game. This marks the third time since 2015 the Big Game has used Easton power management company lights and fixtures. The New England Patriots and Los Angeles Rams players, NFL fans from all over the world, and TV and web broadcasters alike can all experience better and more sustainable LED lighting thanks to advanced technology Ephesus sports lighting and control system features. The Sports Techie community blog has followed the growth of this pioneering company for many moons. Sports tech from the likes of Eaton is featured throughout MB Stadium for SB53 and beyond. My son and I attended the first-ever Atlanta Falcons practice at MB Stadium during training camp this season and enjoyed the retractable roof ceremony. It was our first time inside the stadia marvel. I filmed a Sports Techie video of the ceremony posted on our YouTube channel and you can see many of the Ephesus lighting fixtures mounted near top of the facility right underneath the edge of the roof. Will the roof be open this Sunday? My guess is yes although rain is in the forecast right now. The game starts at 6:30 pm with sunset happening a little after 6 pm. What this means is the LED lights will shine brightly no matter if the roof’s open or closed because it will be night time dark by halftime. Unfortunately, actual images of MB Stadium LED light fixtures were not available to share for this story. Who can forget the worst call in professional sports history when the Seattle Seahawks decided to throw the ball at the one-yard line with seconds left in the game instead of giving BeastMode the ball resulting in an unbelievable interception and game over. The Pats won another Lombardi trophy behind the GOAT Tom Brady and Head Coach Bill Belichick. 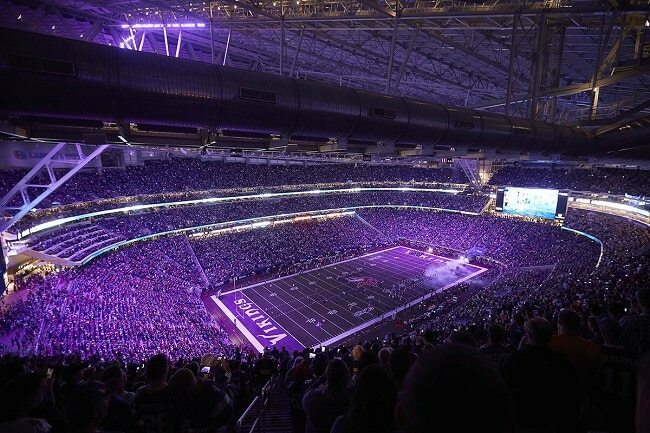 What fellow 12s and Patriots Nation may not know is Ephesus LED lighting solution was installed at the old University of Phoenix Stadium, now known as State Farm Field, back in 2015. Fast forward to last season when the confident Philadelphia Eagles upset the Patriots last February at U.S. Bank Stadium in Minneapolis. The “Philly Special” touchdown catch by quarterback Nick Foles never looked so lovely as it did under LED lighting. 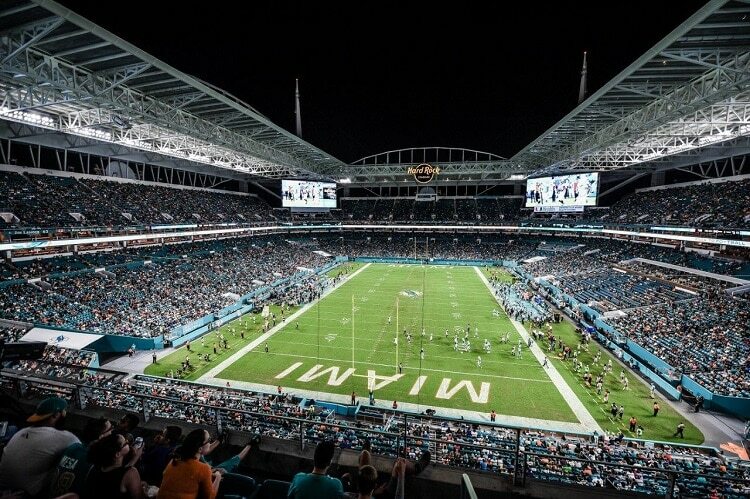 The upcoming SB54 in 2020 is to be played at the Hard Rock Stadium in Miami making it the fourth time Eaton’s Ephesus sports lighting solution lights up the NFL universe for the Super Bowl. Is it a coincidence that professional and college football playoff championship selection committees decided upon selecting stadiums outfitted with Eaton’s Ephesus LED sports lighting to host their championship games respectively? No chance. This is simply good decision-making and planning. Besides Sunday’s game, two recent collegiate football championship games and three of the four college basketball championship games played between 2017 and 2020 are also at venues with Eaton’s Ephesus LED sports lighting. The Ephesus LED system control functions improves lighting for improved viewing by spectators while at the same time reducing energy usage by as much 75 percent, saving users big money while being more eco-friendly. 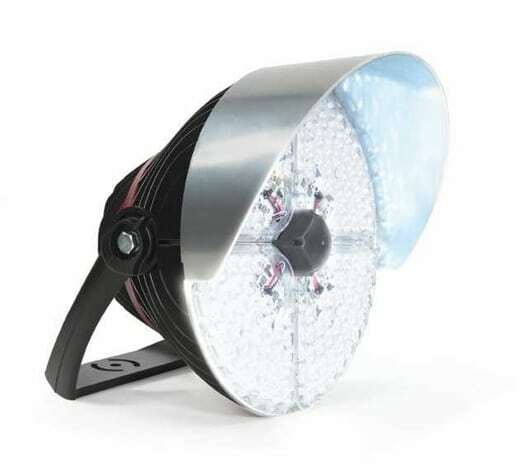 Eaton’s Ephesus light-emitting diode sports lighting product line displays optimal lighting designed to better illuminate while in a more uniform way on the playing surface. It certainly helps the players and fans see the live action whether in person on a HD television. Installation of the system is a breeze and it requires very little or even zero maintenance for years. Comparing total operating costs with other traditional sports lighting systems truly reveals the overall savings LED provides. This Eaton solution is at the forefront of early adoption of LED lighting at sports and entertainment venues of all sizes across North America. Hundreds of facilities have switched to Eaton’s LED sports lighting system, including: U.S Bank Stadium (Vikings); Hard Rock Stadium (Dolphins); PNC Park (Pirates); the United Center (Bulls and Blackhawks) and the historic Martinsville Speedway in Virginia-the first NASCAR track with LED lighting. Eaton manufactures its Ephesus line of high-output solid-state sports lighting solutions for a broad range of applications, from municipal ball fields to indoor and outdoor professional venues. These innovative advanced lighting solutions create brighter, more vibrant and sustainable environments. For more information, visit www.eaton.com/ephesus. Sports Techie, it’s amazing to behold Super Bowl week in person. All the schedule activities around this city and MB Stadium should be full of happy people from Massachusetts, California and Georgia, and throughout the United States and world. At least until the game is over. Having said that, most of the fans, media and sponsors are clueless about the LED revolution going on right now at stadiums, arena and buildings around the world. Is the stadium in Atlanta ready for this?